Window blinds can add an elegant and sleek look to your home décor. Although, most blinds offer one basic feature of complete privacy, but there are many other factors that you must consider before deciding which one is best suited for your home. Roller blinds and venetian blinds are two of the most popular types of blinds in Singapore. A closer look at the features of these blinds will help you choose the blind that suits your privacy, interior decoration, and light needs. These blinds use a solid piece of fabric, which covers the window entirely. On the sides of these blinds are cords, which are used to raise and lower the blind. As the name suggests, these blinds roll from the top of the window to its bottom. These blinds are made by binding together a series of horizontal slants of 25mm to 50mm width. These slants are bound using a cord at various places across the width and at the ends. Venetian blinds lower from the top of the window to its bottom, and a separate mechanism allows you to move the slants in different angles. There is no doubt that maximum room darkening is achieved by installing roller style blinds, but you don’t have the option of increasing light without compromising on privacy. For example, with these blinds you have the option of using translucent fabric, but this means you will not get complete privacy. It means, you will have to use some type of artificial lighting all the time because your room will remain dark. However, by installing venetian style blinds you will get the freedom of light control without compromising too much on privacy. These blinds give you the option of keeping its horizontal slants at different angles, which is an effective way of controlling privacy while maintaining good levels of lighting inside the room. Roller blinds don’t add too much to the aesthetic value of your room interiors. If you are using a high-quality fabric, then your blind will look beautiful. However, these blinds use an old type of operating mechanism, which reduces their aesthetic value. Venetian style blinds are made from slants of various materials like aluminum, PVC or wood. Therefore, they are available in wide-range of textures and colors to suit any type of interior decoration requirement. The variety of attractive designs and styles that you can implement using these blinds are only limited by your imagination. Roller blinds can be installed in a less space when compared to their venetian counterparts. Additionally, roller style blinds remain compact even when they are fully retraced. These blinds are made from fabric and thus you need to wash the fabric every time you want to clean these blinds. There is no chance of any breakage with these blinds, but the fabric can get damaged. Venetian blinds need extra space in a window recess than their roller counterparts. They also need additional space when you close them. 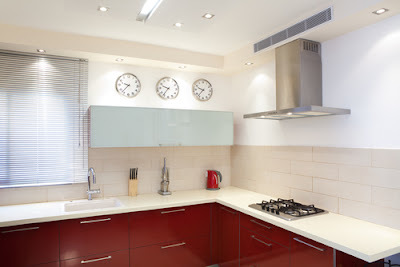 Cleaning slants of venetian style blinds is simple and you can accomplish this task with the help of a cloth or sponge. You also have the option of removing the blinds entirely from the window and let them soak in clean water. However, you have to be careful while cleaning because the slants are thin and can get damaged if handled improperly. If price is a major factor for you, then you should go for roller blinds because they are cheaper to buy, install and maintain. 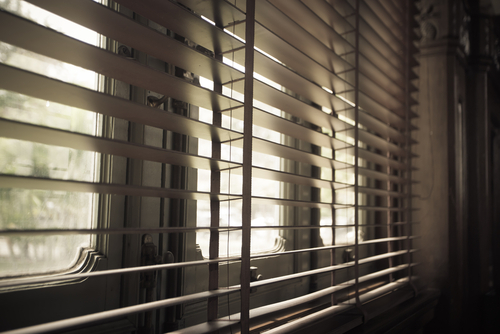 Venetian blinds might have many benefits, but they are costly to buy and install. Additionally, even if one of the slants is damaged it spoils the look of complete set-up and repair cost can be high. Roller style blinds are easier to operate when compared to venetian style blinds. 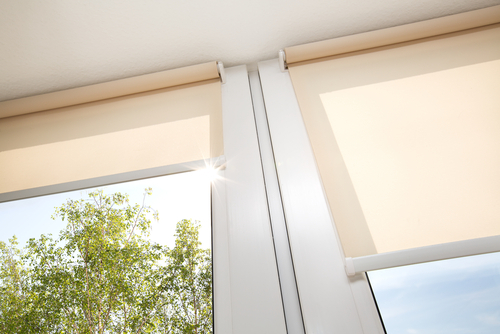 Therefore, it’s better to install roller blinds at places where children are going to operate the blinds. This will reduce the chances of any damage due to improper handling. When deciding between roller and venetian blinds the final choice depends on various factors like the level of comfort you need, your budget, and your taste. However, you should carefully weigh all the pros and cons of both the blinds before making a final decision.